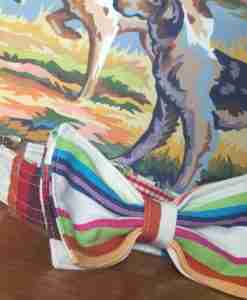 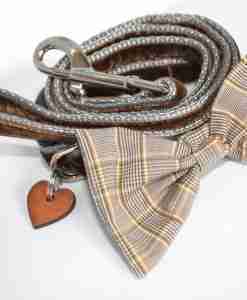 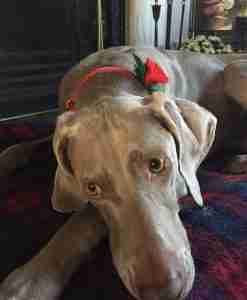 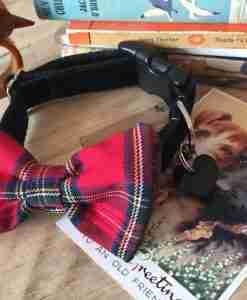 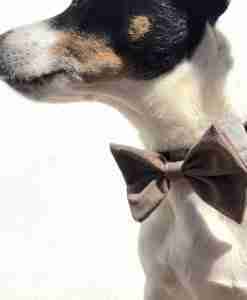 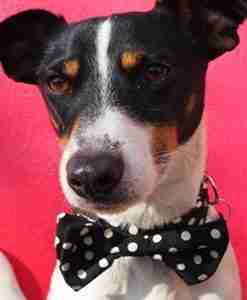 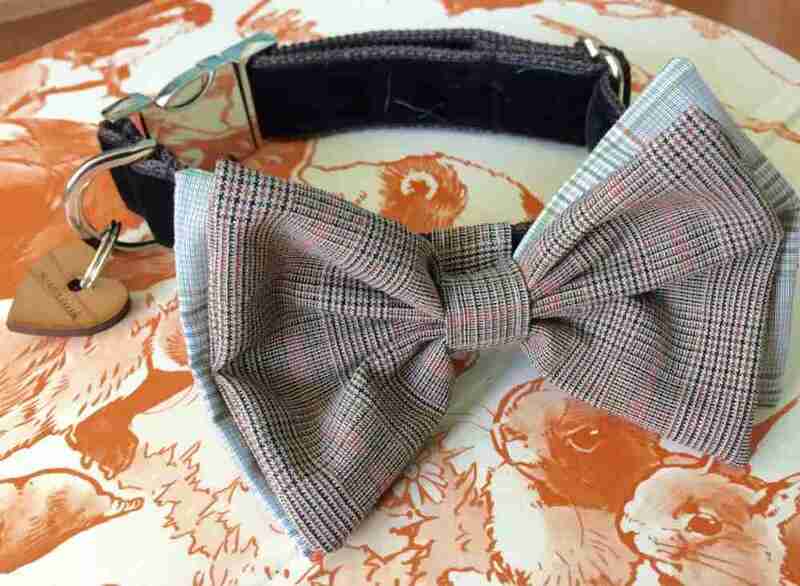 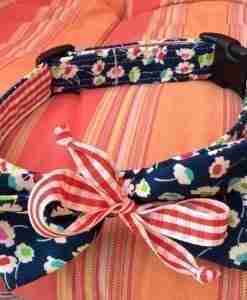 Barnaby is my latest bow wow wow tie dog collar and what a handsome chappie he is! 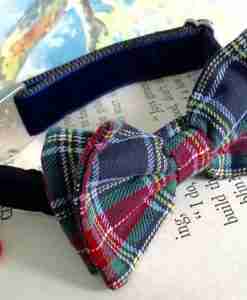 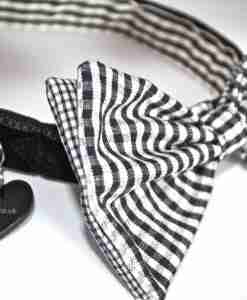 Lush black velvet inside and out is topped by a hand stitched double bow tie made utilising two Italian fine checks. 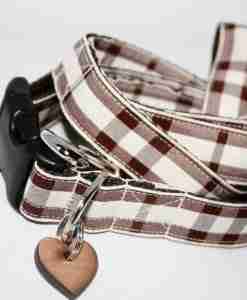 The shiny quick release clasp matches the dee ring and sliding adjuster makes this one very sophisticated dog collar. 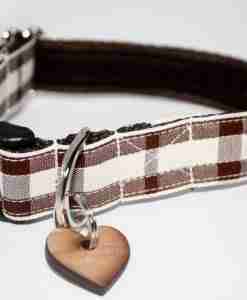 An exclusive Scrufts’ heart shaped tag is the final WOOF! 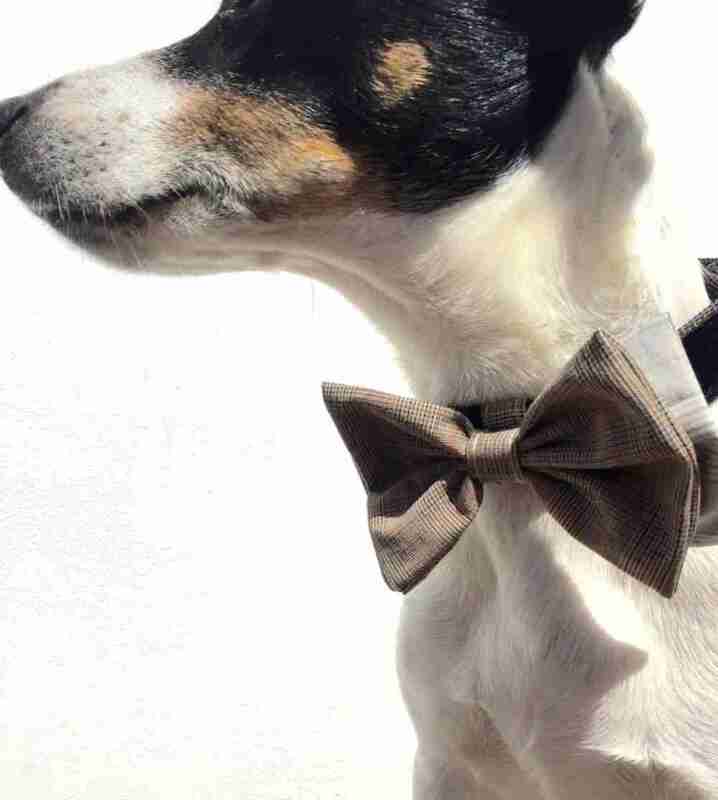 Fetch …. 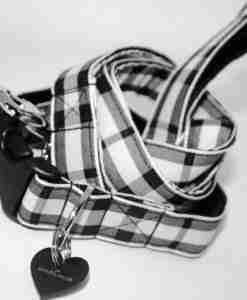 This is a dog collar only, but why not add a lush Jet Black Velvet Lead.